Location not great. Surrounded by older properties. Where to find Athens hotels near an airport? How can I find hotels in different Athens neighborhoods? 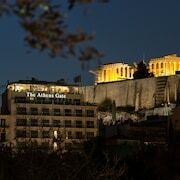 Where can I find hotels in Athens that are near tourist attractions? 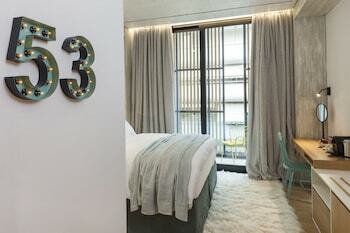 Visitors will find plenty of short- and long-stay accommodation options to select from in Athens. Expedia's comprehensive database features 226 places to stay within a 0.1-kilometre (0.1-mile) distance of downtown Athens. 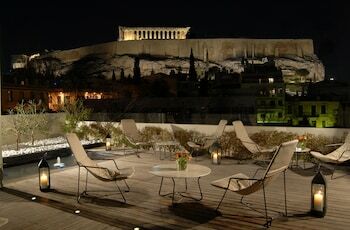 The AVA Hotel & Suites and Electra Palace Athens are some of the most centrally located accommodation options in Athens. With 31 Expedia hotels, Omonia is an accommodation area that is a good place to base yourself. It is 1 kilometre (1 mile) from the center of Athens. 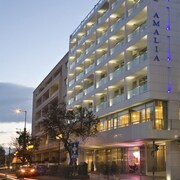 Some of the more popular of the hotel options in this area are the Melia Athens and Titania Hotel. You could also find accommodation in Acropolis, which is where you'll find the AVA Hotel & Suites and Royal Olympic Hotel, or Plaka, which is home to the Electra Palace Athens and Plaka Hotel. Monastiraki is 0.08 kilometres (0.05 miles) from Athens' downtown, while Koukaki is 1 kilometre (1 mile) from the center of Athens. The A for Athens and AthenStyle can be found in Monastiraki, while the Hera Hotel and Divani Palace Acropolis are in Koukaki. The Parthenon is one of a handful of the most famous attractions in Athens. 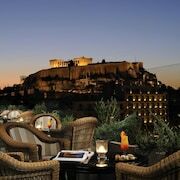 The Hotel Grande Bretagne, a Luxury Collection Hotel, Athens and King George, a Luxury Collection Hotel, Athens, are within strolling distance of the Parthenon. 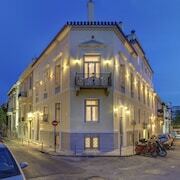 Stay close to the Temple of Olympian Zeus by reserving accommodation at the Nina's Athenian Loft or the New Hotel. If you would rather be based walking distance from the Benaki Museum, you should check out the NJV Athens Plaza Hotel or the Hilton Athens. The National Archaeological Museum of Athens, another popular Athens attraction, is not far from the O&B Athens Boutique Hotel and the Periscope Hotel. Accommodation options that are within walking distance of Mount Lycabettus include the Athenaeum InterContinental and the Divani Caravel. The Electra Hotel Athens and St George Lycabettus Hotel are near the Erechtheion, and the Mc Queen Hotel and Athens Ledra Hotel are situated near the Temple of Athena Nike. Those who are traveling to Athens for the Technopolis could book a room at the nearby Athens Diamond Homtel and Fresh Hotel. 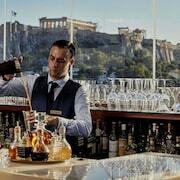 Hotels close to the Pnyx, include the Radisson Blu Park Hotel, Athens and Athens Diamond Plus. Planning a trip to Athens? The most convenient airport is Eleftherios Venizelos Airport, 20 kilometres (12 miles) from Athens. Stay nearby at the Sofitel Athens Airport. 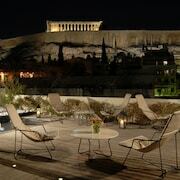 What are the most popular Athens hotels? Are there hotels in other cities near Athens? What other types of accommodations are available in Athens? Explore Athens with Expedia.ca’s Travel Guides to find the best flights, cars, holiday packages and more!